There are few cuts of meat more succulent, more delicious, and more fun to look at than the beef tri-tip. Packed with flavor and easy to cook, it's the perfect choice for any barbecue occasion. That being said, those new to smoking often find themselves asking a few questions with regards to how to go about cooking one of these beauties. What kinds of spices should you use on the meat? How long before cooking should you season? How long ​is the cook time? What's the target temperature for when it comes off the heat? 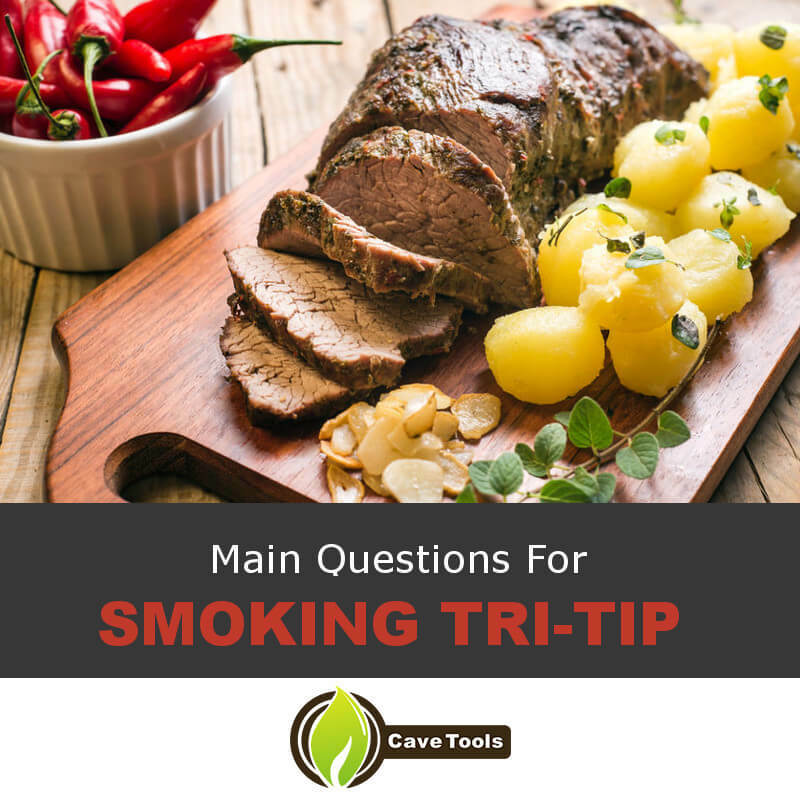 All these questions and more will be answered as we take a look at how to smoke the perfect beef tri-tip. Let's get started. In order to follow this recipe, you'll have to grab a few ingredients and supplies. Luckily, beef tri-tip is such a great cut of meat you won't want to put much of anything on it. Additionally, the actual tools you'll need to cook it are similarly sparse. 2 tablespoon freshly ground black pepper. Hickory wood chunks or chips. 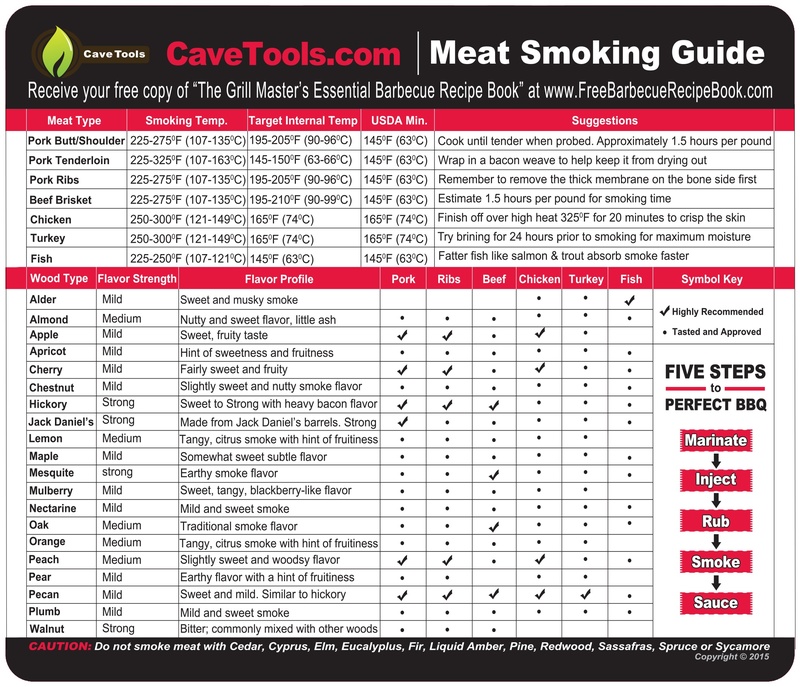 When you've successfully collected everything you'll need for the recipe, you can begin work on smoking the meat. There are few things in the world more unsatisfying than under seasoned (or just plain unseasoned) meat. Your tri-tip is no different, so mix up the spices listed above in a bowl and generously coat the outside of the beef with them, making sure to rub into every crack and crevice. 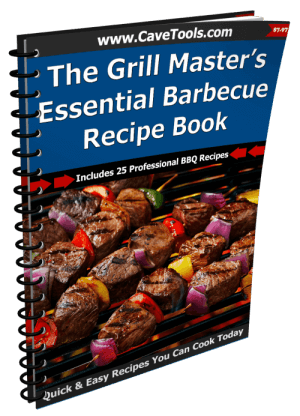 You should be doing this about two to three days before you plan to cook the beef, as this provides ample time for the spices to penetrate into the flesh and more deeply season the resulting barbecue. Once seasoned, place a metal baking rack into a sheet pan, then put your meat on top of it. Place all of this into the refrigerator and allow it to sit undisturbed until the cook date. This dries out the outside of the beef, making for a crispier crust and deeper flavor once it's been smoked. Think dry aging like in the restaurants. Half an hour prior to cooking, take your meat out of the fridge. Blot the outside of the beef with paper towels to remove excess moisture and re-season with about a teaspoon or two of the spice mix if needed. Let it sit like this so it comes to room temperature prior to cooking, as this makes for a more evenly done piece of meat. Additionally, soak your wood chips in hot water if you're using those instead of wood chunks. Choose the wood based on what smoke flavor you want to get. As this is happening, fill your smoker halfway with charcoal and light it, closing the lid and letting the coals burn down with the air vents opened fully. Once they've burned sufficiently to a smolder, add more coals, place your wood onto the fire, and fill the water tank before placing the smoker grate on top. Allow the smoker to burn for a few more minutes to let smoke build up. When your smoker has sufficiently warmed up (the cooking temperature should be around 250 degrees Fahrenheit if you're keeping track with a thermometer), place tri-tip into the center of the grate and close the lid. Monitor the tri-tip as it cooks and add more charcoal, wood, or water as needed. Adjust the air vents to try and keepthe temperature within a 10 degree range, as well. For a cut of meat this size, you should expect to ​smoke tri-tip around 3 hours or so at this temperature, though the most accurate way to test for doneness is by internal temperature. For larger or smaller tri-tips, add or subtract around half an hour for each pound of meat different from the one listed in this recipe. Regardless of size, though, the meat should be done when ​the internal temperature reaches 135 degrees Fahrenheit in the thickest part. 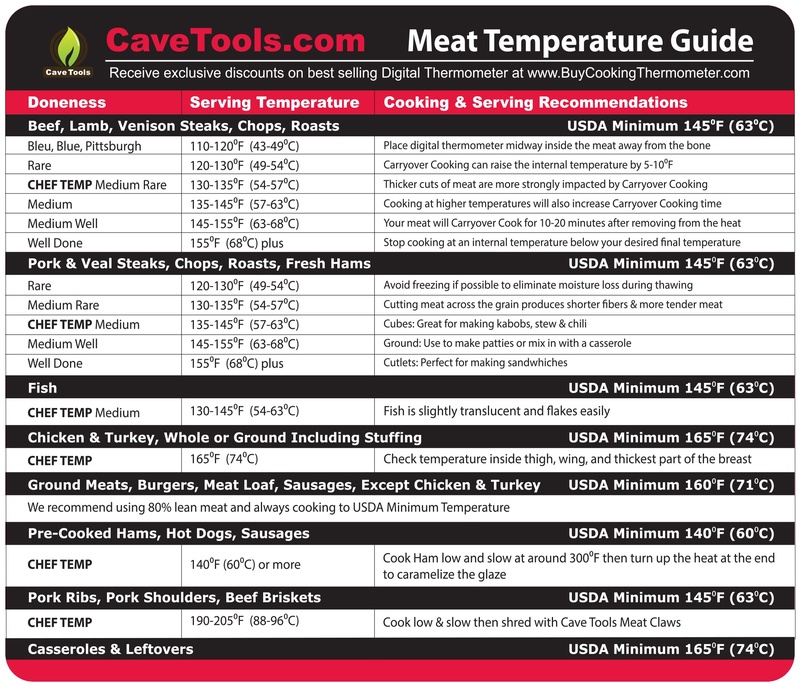 Check the temp with a digital thermometer. ​Once the temperature of the meat reaches the needed level, transfer it from the smoker into a large aluminum baking pan or other container. Wrap tri-tip in aluminum foil, then wrap it in a clean towel and place it inside a large cooler. Let the meat rest like for half an hour before serving, during which time the residual heat will move throughout the meat evenly and finish cooking. The temperature will also raise around 5 degrees as it rests, making for a perfect medium rare. After properly resting the tri-tip, it's finally time to dig in. As with any cut of beef, make sure to cut against the grain as you carve it. The resulting pieces will be much more tender, making for a more pleasurable eating experience. Choose your wine pairing, and there you have it - the secret that all your friends will beg you to spill. One of the favorite things about tri-tip beef roast is that, because of its triangular shape and varied thickness across the entire cut, there's a part of it that's the correct level of doneness for everyone, from a nearly well done tip to a thicker end verging on rare. You can be sure everyone will be able to go home happy like this. Now you've got everything you'll need to smoke a great juicy beef tri-tip at your next barbecue. 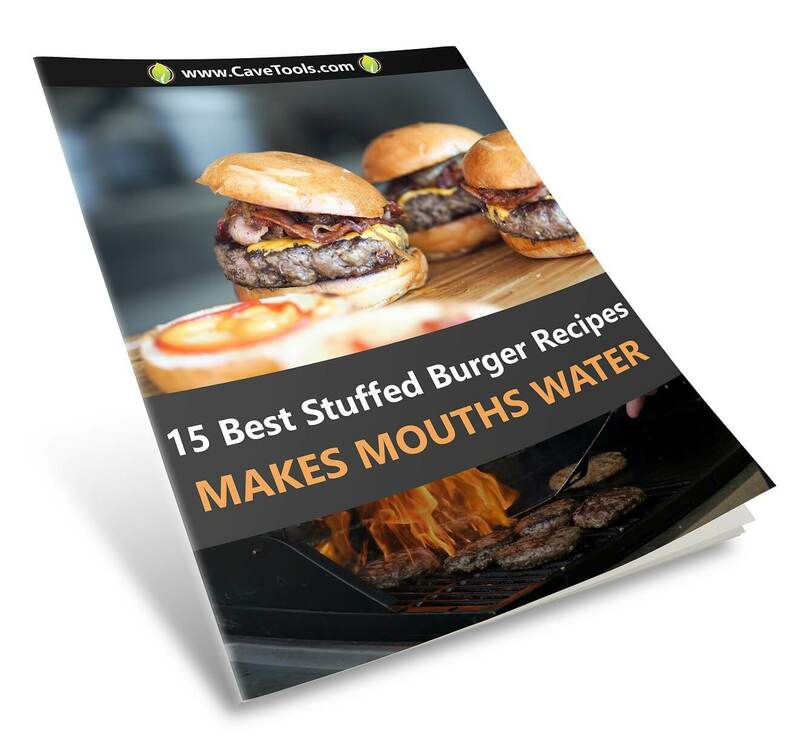 Just follow this handy recipe to know exactly what to do, complete with the tips and tricks to make everything come out perfect. The total time spent on this smoked tri-tip recipe isn't too long, and the result will be worth every minute. Don’t forget to grab yourself a copy of Meat Smoking Recipe Journal to write down everything you did for this awesome dish. Did you like this recipe? Any advice on smoking a tri-tip? 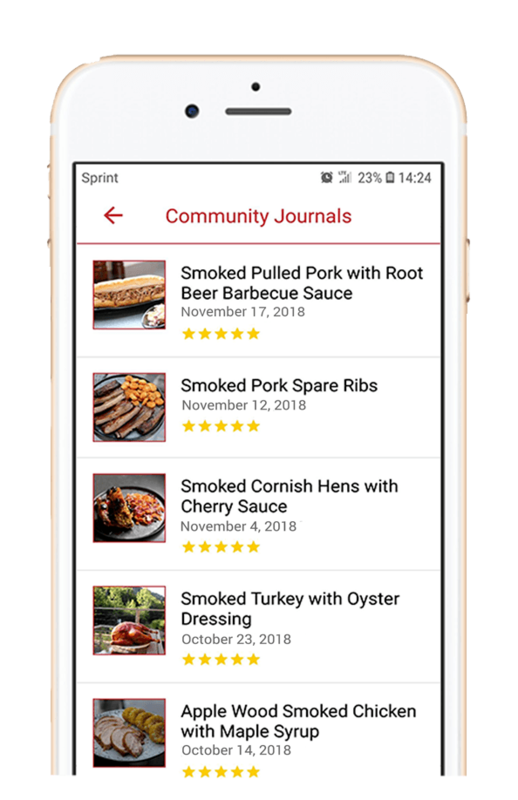 Tell us about it in the comments and don't forget to share this page with a friend who could use some barbecue help. ​What is a Tri-Tip Steak? ​A tri-tip steak is cut from a tri-tip roast, which is a triangular cut located from the sirloin of a cow. You may also find it under the name Santa Maria Steak, because it was popularized in California. It’s a boneless, triangular-shaped steak that’s known for its highly-beefy flavor. It can be very tender, but it must be cooked properly. Many people marinate tri-tip before grilling or smoking it. 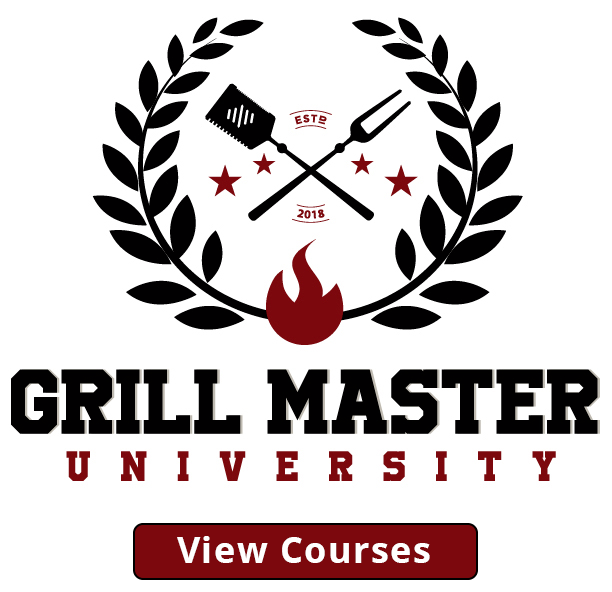 ​How Do I Cook Tri-Tip Steak? 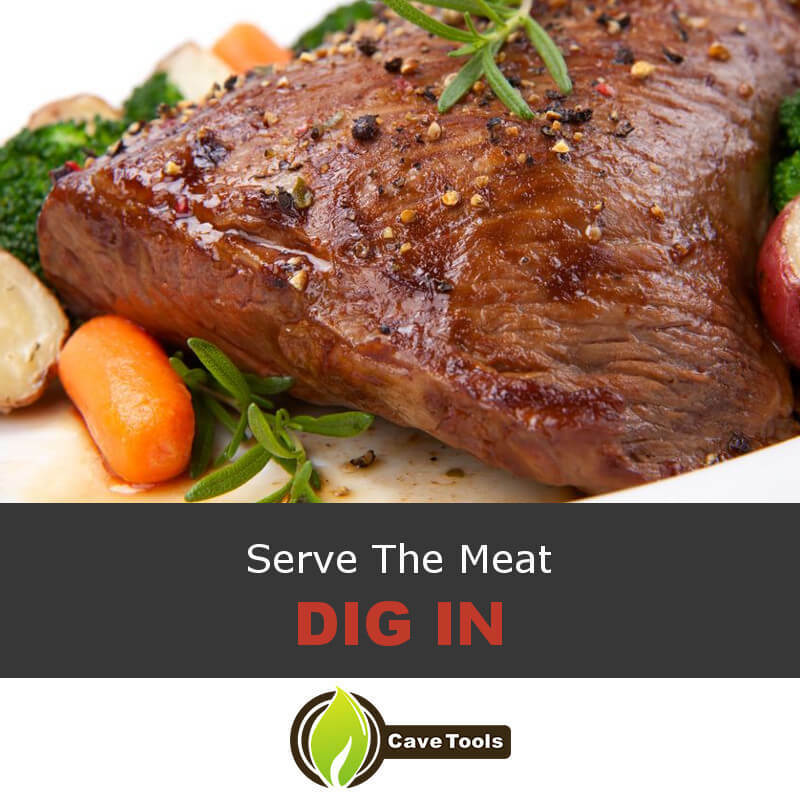 ​Cooking tri-tip steak starts with removing the silverskin, a thin layer of connective tissue that lines the outside of the meat. Since it does not break down during cooking, it can make the steak very chewy. Next, you’ll want to marinate ​the steak in a flavorful brine to denature the proteins and create a tender steak. Then, either grill it over high heat (for steaks) or cook it low-and-slow on a smoker (for roasts). ​How Long Does it Take to Smoke a Tri-Tip Roast? ​We recommend cooking the tri-tip roast at a smoker temperature of 250 to 275 degrees F. At this temperature, it should take about 4 to 6 hours for the roast to fully cook. The best way to know if your roast is done cooking is to use a probe thermometer and pull it when it reaches the target temperature. ​What Temperature Do You Cook Tri Tip? ​Medium or below temperatures are recommended for a tri-tip steak because it’s a tender, flavorful cut of meat. You could cook it to a rare temperature of 120 degrees F, but it's most popularly cooked to medium-rare at 130 degrees F. People who prefer more well-done steaks should cook it to 140 degrees F, a medium temperature. ​How Do You Slice a Tri Tip Roast? 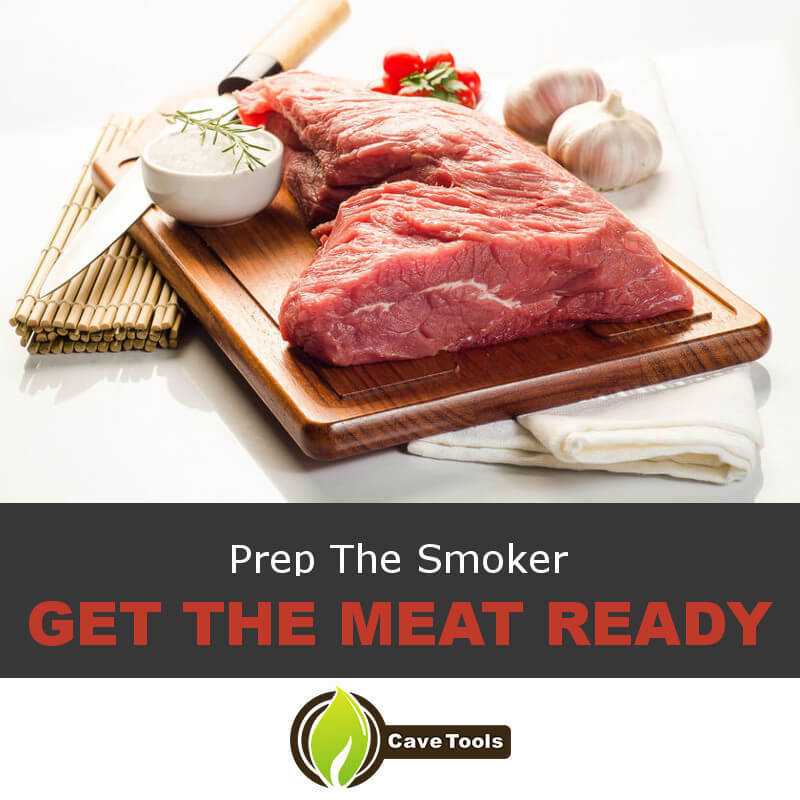 ​Like all proteins, you should rest your meat for at least 10 minutes before slicing it. Then, make sure you slice against the grain. This ensures you’re cutting in the opposite direction of the muscle fibers, making it easier to chew and break down. If you slice with the grain, you will have a tougher cut of meat.